Batman’s chosen mode of transport has evolved a lot over the years. From swanky car to Tumbler, and even armored tanks. 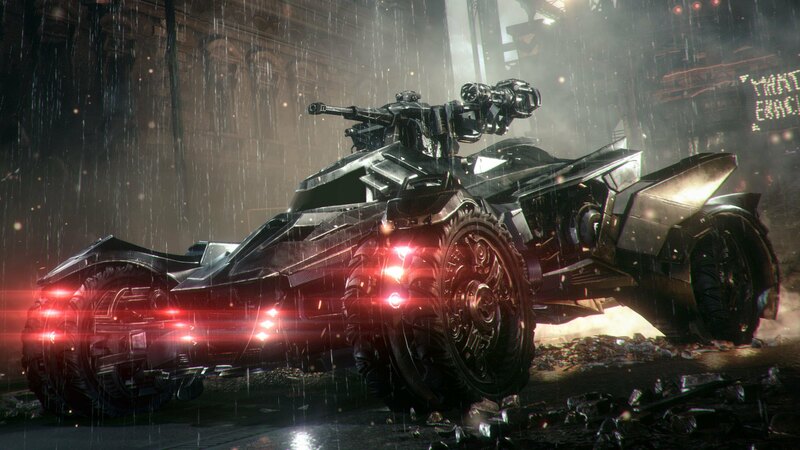 But with a new, heavily armored Batman in town in DC’s Batman comics, there needs to be a new Batmobile to match—and it looks completely, hilariously over the top. Bat-Truck, indeed. 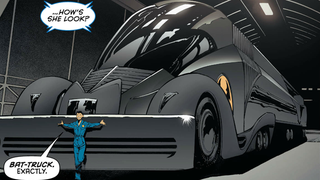 So of course a comically oversized Batman, you need a comically oversized Batmobile... or rather, a Bat-Truck. The GCPD’s lavish new ride for Gordon is less of a car and move of a mobile base of operations, but I can’t help but laugh at how ridiculous it is. And yet, I think I kind of love it? After all, Batman needs a Bat Cave—and it’s not like Jim can get one of those installed at the Police Department. Why not slap it on wheels and call it a day? The audacity of Capullo and Snyder’s take on this new Batman is so enjoyable so far, I almost can’t wait for the inevitable day that Bruce Wayne makes a comeback, just to see his reaction to the lunacy. That, and the opportunity to see some ridiculous Bat-Truck toys one day. Batman #42 is out tomorrow, July 8th—you can read the rest of the preview at the link below.